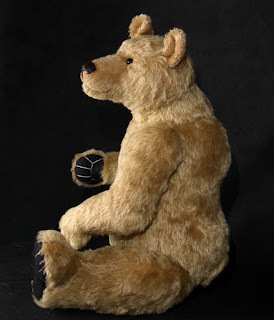 I think the new year brought a desire to freshen up many of my designs; Harold is the result of the latest review, an 18" Standing Bear with a double joint at the neck. 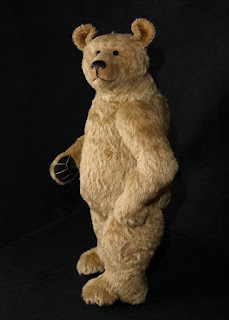 I have also gone ahead and given him the later face which I introduced this year, higher set small eyes and a more pronounced button of a nose. 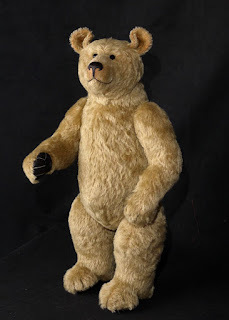 I have also attended to the overall balance of the bear so he stands very securely even though the stuffing is quite soft. 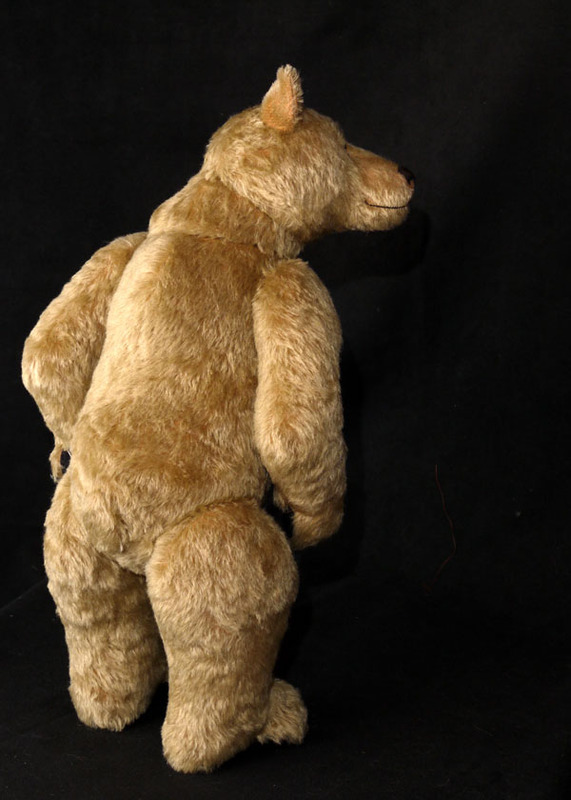 I wanted to sharpen up the whole shape and design of the bear and I will usually be using shorter pile fur so that the actual pattern shape of the bear is more significant in the appearance. 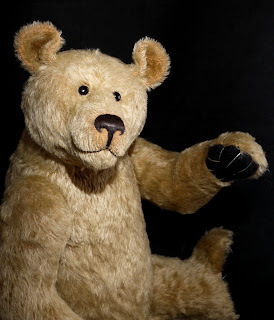 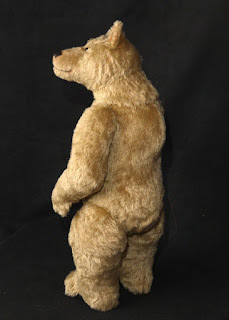 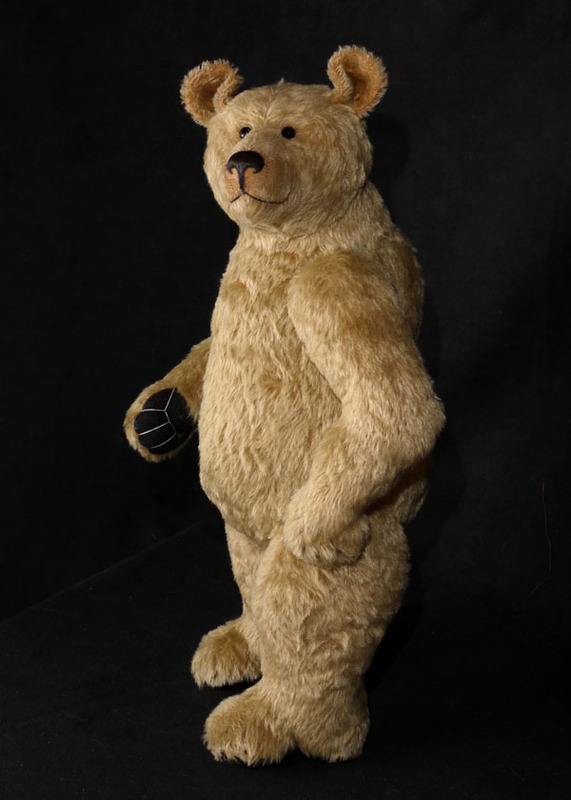 This bear is already sold but I will be using this new version of an old favourite to make more bears in the near future; I will also incorporate these changes into other sizes in this type of bear.